As I listen to the presidential candidates speak and engage in what passes for debate these days, it appears that most, if not all of them are simply talking about improving the old government model, rather than boldly proclaiming a new one. Carmakers, if they want to sell cars, produce "new and improved" models, not remakes of previous ones. So why do politicians continue to rely on a Model T version of government when it's outmoded and unfit for modern life? Presidential candidates should speak about what has worked in the past and could work again. The candidates - at least the Republican ones, if they remember what Republicans are supposed to stand for - should be talking about freedom from dependency and a return to self-sufficiency. Government doesn't need to be reformed under the present system; it needs to be transformed under a new one. Is there anyone who is satisfied with the way large and ever-growing, bureaucratic, impersonal government works? No matter who's running it, government doesn't work precisely because of its aforementioned traits. It costs more and delivers less than ever before. It has created a dependency culture that prevents - not helps - some of the disadvantaged from achieving their dreams, if they have any after relying too much and for far too long on government. The public wants real change, says Gingrich, but the politicians - perhaps fearful of organized groups that could turn the image of a saint into one of a deviant - won't give it to them. The desire for change is not the exclusive property of conservative, white Republicans. 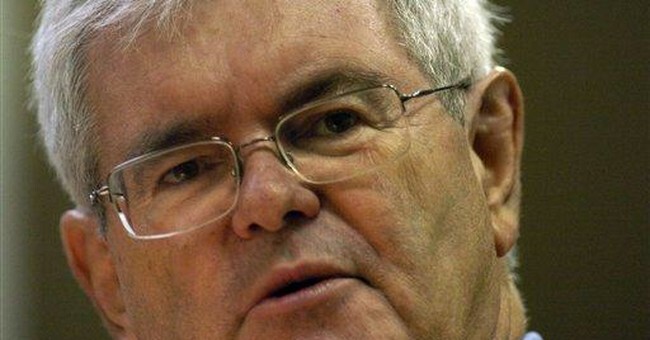 Gingrich cites polls that show the yearning for change extends across all racial, ethnic and political groups.